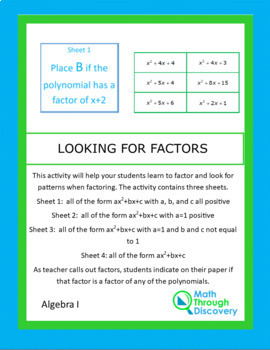 These four activity sheets involve factoring polynomials by looking for certain factors in each sheet of polynomials. 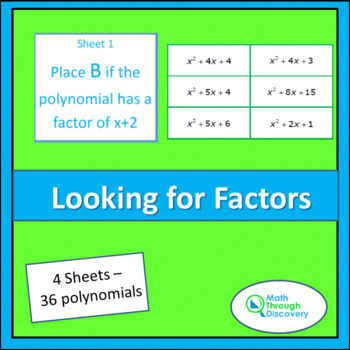 This activity will help your students learn to factor and look for patterns when factoring. The activity contains three sheets. As teacher calls out factors, students indicate on their paper if that factor is a factor of any of the polynomials. This activity is appropriate for both Algebra 1 and Algebra 2.